Are EdgeRank Changes Affecting Reach & Engagement With Facebook Fans? In our previous post on Facebook Offers we pointed out just how Edgerank can limit the number of fans who will see your post. For first timers, EdgeRank is an algorithm used by Facebook which enables its content evaluation engine to decide what content should be displayed to Facebook members and how high it should appear in their newsfeed. It essentially also limits your reach allowing not more than 16 % of your total fan base to see a post. It appears now that cracking Edgerank’s algorithm may have just got a lot tougher. In other words just like Search Engine Optimization techniques have had to keep evolving and work harder to keep your website up on the search engines page one and top five listing keeping pace with the algorithms of your search engine, so too does your content strategy and fan engagement program on Facebook have to keep up with the latest from EdgeRank. This blog post from Edgerankchecker.com analysed data on reach and engagement in between September and October 2012 to see how Edgerank’s algorithm may have affected reach and engagement. It becomes clear that there is no single pattern to what kind of posts were suddenly working or not, what became fairly evident was that reach was getting stifled. The study further analyses and points out that brands that opt for status updates over photo updates would have not seen much of an impact or a decrease in engagement, whereas those that used more of a photo update strategy might have seen their engagement levels decreasing. Why so? What Kind Of Updates Work For Fans? Photo updates have unfailingly demonstrated that the engagement levels are far higher than (text) status updates (no wonder Facebook decided to buy Instagram). So there may be no reason to give this up. However the study dwells further to demonstrate that brands that used `spammy’ photo posts or posts not very relevant to the brand universe — used photos for the sake of photos — as an engagement strategy were getting affected. If your brands photo status updates is getting negative feedback for instance, it is likely that EdgeRank algorithm is pushing you down the ladder. Fortunately there is a Real Time Facebook Analytics Monitor that can help you track the sentiments of your fans in real time to make sure you are taking timely corrective action to keep the engagement going. You can check the Dummy’s Guide to EdgeRank just to be sure you are on the right track as far as your engagement strategy is concerned. Basically if you never click, Like, comment, or share posts by a Page, Facebook made that Page less likely to show up in your feed. Cathcart says “That’s a relatively large change.” It resulted in a large decrease in spam reports, meaning it succesfully made the Facebook news feed better. We have a final take home that should be acknowledged even as you attempt to follow best practices in Facebook engagement. The Facebook fan is socializing and is making more friends every day and also following/liking more brand/community/corporate pages everyday. There are only so many updates that the Facebook user can see in a day on their wall. There is more competition out there everyday. Not just from brands but friends and family and new people out there that your fans are interacting with. It is but evident that organic share of voice will have to fight against a larger crowd everyday, and your reach is going to get affected. Keep focusing on engagement, keep it fresh and interesting, experiment, see what works, acknowledge there will be one-offs and progressively add inorganic or paid reach to boost your organic reach on Facebook. 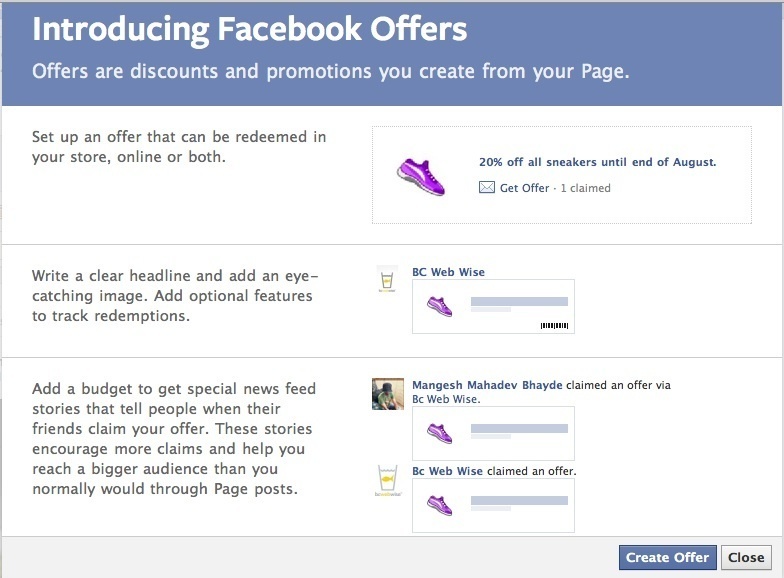 Facebook Introduces Offers, Share exclusive offers only with Facebook fans for free! It appears that in a bid to become advertiser friendly, and get closer to delivering ROI, Facebook has introduced Offers. 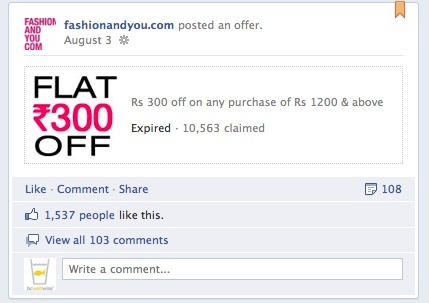 With this option, brands can now provide exclusive offers to their Facebook fans via status updates. Facebook evidently also hopes that these posts will be further promoted by brands to reach a larger audience. This appears to be in beta as not all brand pages have it, so don’t be surprised if your brand page is not showing up this option. May be you could contact your Facebook relationship manager to get this enabled for you. The brands we stumbled across using this feature is the etailer brand Fashionandyou.com and firstcry.com on its fan page. Once a fan avails of an offer, you get further visibility as their engagement becomes known to their friends. Clearly Facebook is exploring newer and relevant means to appeal to the brands that are using its platform to engage with an audience, and hoping that these measures will help to increase advertising spends on the social network. After all with General Motors announcing that it was pulling out of Facebook, did send ripples in the market questioning Facebook’s advertising’s efficacy. Further unlike a Google that has been focusing its sales pitch on ROI, the social network has had done little to build and market advertiser-led case studies , even while it attempts to assist marketers with analysis at a click on the reach and engagement your Facebook initiatives have managed to achieve. 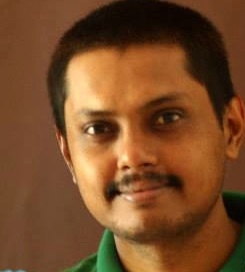 But the real question is that just like Google’s practices that can be questioned particularly when it comes to PPC, and its algorithms can regularly challenge many an SEO expert (search engine optimization) equally challenging is Facebook’s own mechanisms of ensuring that a limited number of users only can see your posting. Facebook has the Edgerank. Not more than 16 per cent of your Facebook friends can see a wall post or status update. While you can adopt various strategies to try to increase the reach, fact is that all of this requires more hard work and resources, and use the `promote‘ feature and `offers’ feature might just help you reach many more of those audiences faster!